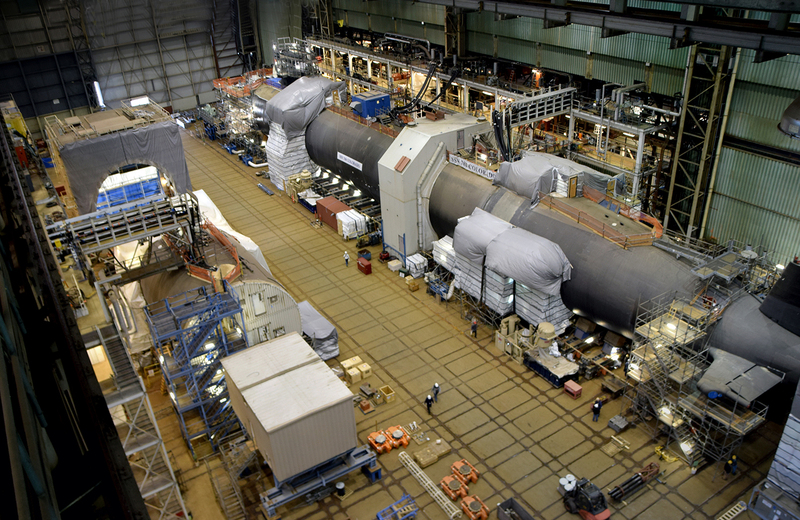 Colorado achieved Pressure Hull Complete Feb. 29, 2016. 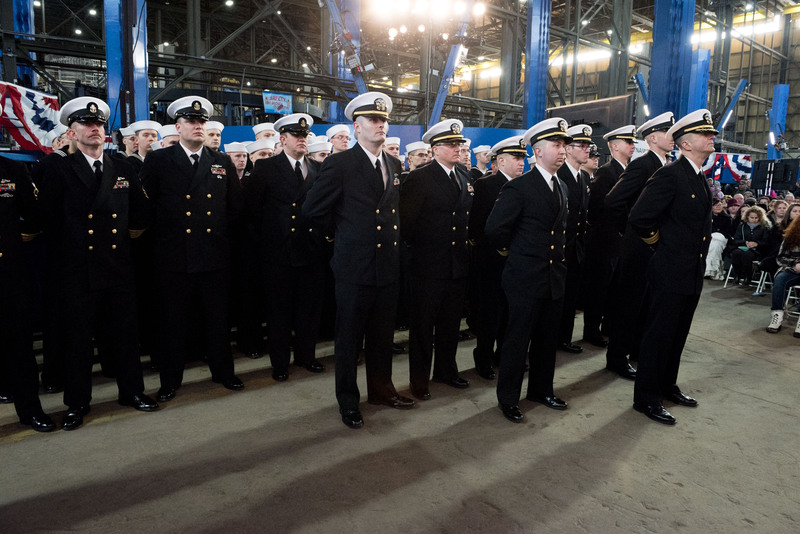 The crew of the submarine Colorado at its keel laying March 7, 2015. 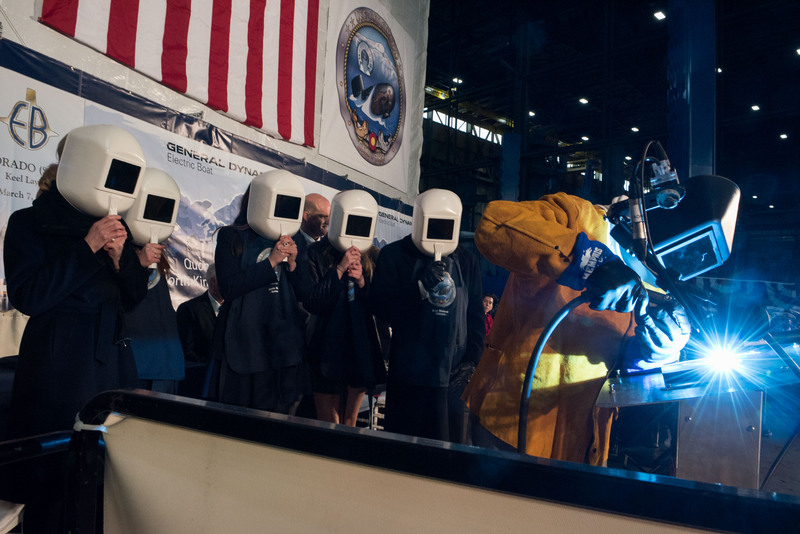 Electric Boat employee John Alves welds the initials of Ship Sponsor Annie Mabus during the keel laying of the submarine Colorado March 7, 2015 at Quonset Point.